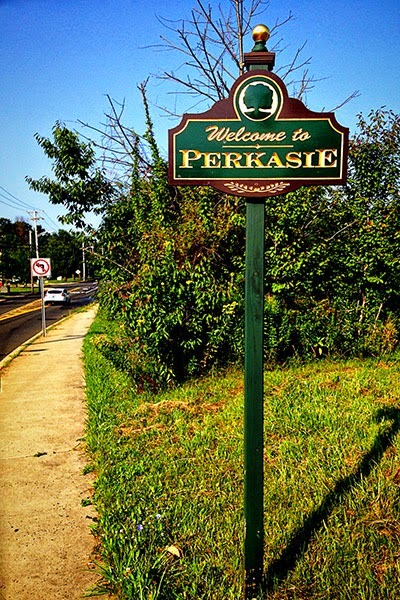 #1 - A sign welcoming people to my home town. These are posted at various entrances to the borough. This one happens to be just a few blocks from home. #16 - A sign not in English. 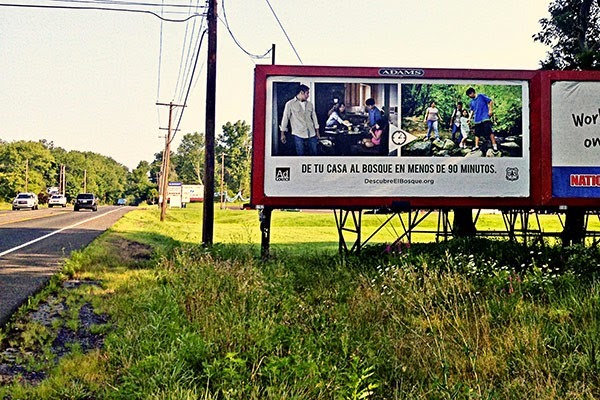 This billboard is located on Old Bethlehem Pike in Sellersville (next town over). Old Bethlehem Pike is a moderately traveled two lane roadway that leads to Route 309. This area happens to be very "white bread" - very small minority population and certainly not a significant Spanish speaking population. In fact, I'd be surprised if even 5% of the people who drive by this bill board can read Spanish (I can't). I did a google translation - it says "From home to forest in less than 90 minutes". (ahem, there is plenty of forest within 5-10 minutes of this sign) I'm just totally stumped as to what demographic the advertisers are trying to reach??? #19 - A Public Garden. This might not be what you'd expect. This land is set aside so that any borough resident can come claim a small patch and grow their own flowers/vegetables. Meant for those that don't have the yard space for a garden. It is really hard to tell from the photo, but there is a beautiful patch of sunflowers growing at the far back corner (nearly center line of the photo, right in front of the white house). If I had to venture a guess, there are at least 50 different little plots in there with folks growing things - mostly veggies. P.S. All taken with my iPhone... I may be getting a little better at this. Although zooming with my feet has proved a bit dangerous - especially with that billboard photo! Linking up with Rinda's July Summertime Photography Scavenger Hunt. These look sharp! Sometimes you just can't zoom with your feet, but I've found cropping the photo in an editing program will work like a zoom, too. We have a plot in our community garden; it's not doing nearly as well this year as we'd hoped. Don't know why. Great photos and with your phone too! Those are nice spiffy signs in your neck of the woods. Sounds like someone put that advert in the wrong place!! I have lots of bird-free wires too! Strange advertisement! I love the idea of community gardens. So many people live in apartments with no space to grow some vegies. Great shots for the scavenger hunt! Isn't it funny that there wasn't a single bird on those wires! Great photos! I would love to see the community gardens in person. This is what I call a "real" community garden - that the public can come in and grow their own flowers and veggies. I love the idea! Great photos with your phone. What a good idea for the public to grow their own veg and flowers. Like you I am having problems finding birds on wires - I don't even have any wires close by! 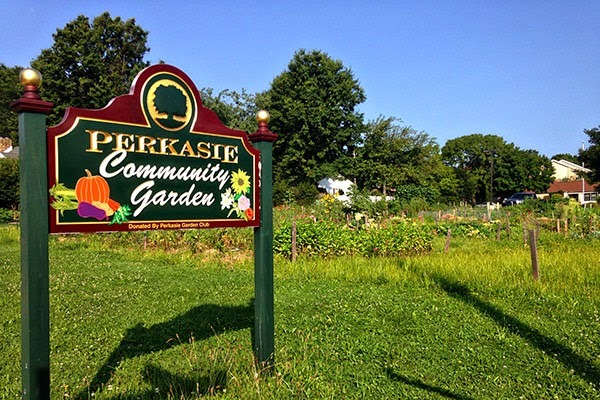 I love the idea of the community garden and it is so fun to see everyone's city sign!